Everyone loves a success story, especially a Rock 'n' Roll one! In March of 2013 I was invited to a preview of a new show called Raiding the Rock Vault. It was made up of rock musicians and vocalists that had toured the world for separate bands who had come together to form their own show. Based on the history of Rock 'n' roll from the late 60's to early 90's, the format included cover songs performed by true Rock 'n' roll veterans. It was intriguing to me, the concept of a production built around classic rock using a super group. But I wondered could the show stick and actually make it here in Las Vegas as a permanent act? I soon had my answer and it was good news. The show blew me a-w-a-y. I knew they had tapped into something very special. Raiding the Rock Vault was a hit with audiences and critics from the very first performance! It takes a huge amount of talent, hard work, sweat and luck to create a show from scratch and have it succeed enough to stay open, much less rise to the top and stay there like these guys have. For Raiding the Rock Vault it has been a successful and steady but sometimes uncomfortable behind the scenes climb up the Las Vegas entertainment ladder. Really, nothing else could have been expected with a new show, especially one involving such unique and strong willed individuals with equal and high levels of talent. The performers have all stayed relevant and working in the business for decades, like real life Rock 'n' roll warriors. A couple of them didn't gel as part of the cast early on and were replaced with just as talented artists, usually friends of current cast members. Maybe Raiding the Rock Vault is better for it...there's no complacency. The show must go on and it DOES. Last week as they approached their second anniversary I decided it was time to check out the show again. This was my fourth time seeing RTRV but my first time since they moved into their new home this past fall, the Tropicana Theater at the Tropicana Hotel & Casino. 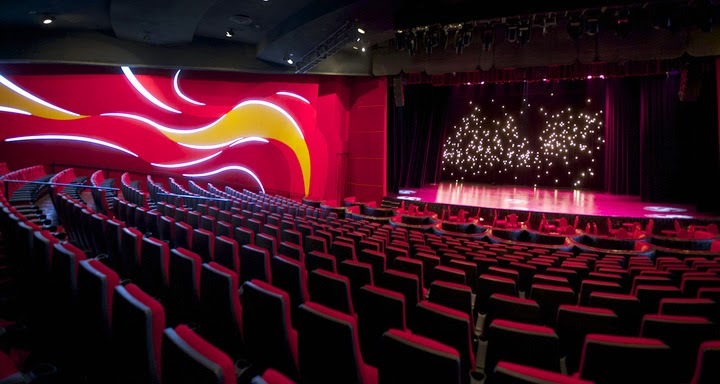 Upon first entering the scarlet colored theater I loved the large, modern, comfy seats. There's table and booth seating the first three rows but then theater style for the rest. The bar inside the venue is just behind the last row of seats and is a great set up for the party that is this show. In the new venue I noticed the plot from the original act is different and the music is now more the focus. At two hours long it does not have an intermission but instead when there's no live music there are short comedic skits using two actors, which are fun but also provide just enough time to get up and get a drink or something without the interruption of an actual intermission. I like this approach. Other than that little has changed, which is good, if you ask me. It seems they kept what resonated the most with audiences, great classic rock performed by world class talents. Maybe the reason the show is such a hit with almost everyone who sees it is not just the talent but also the premise. Rock 'n' roll reminds us that we can shout, sing, dance, speak up, be different, enjoy life, and party but still be part of the daily establishment that many of us have such a love/hate relationship with. Overall though what makes me a fan the most is the cast give of themselves and it's palpable. 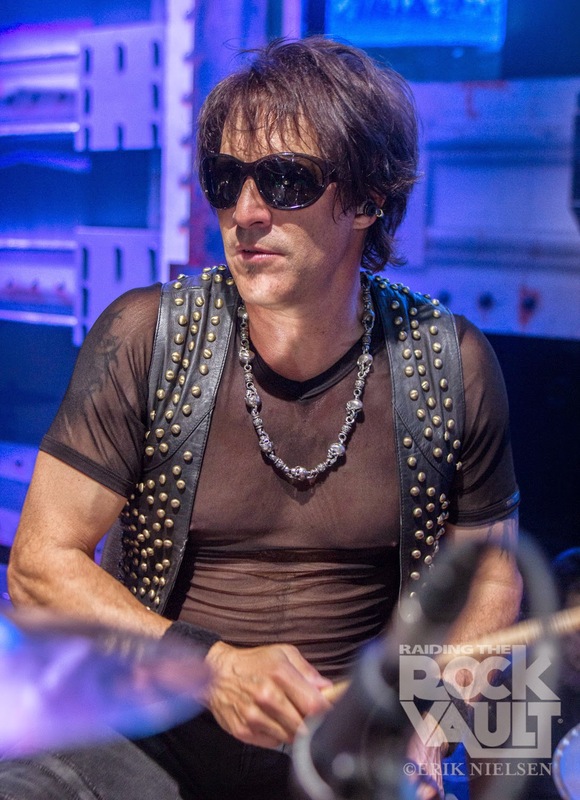 Although the performers of RTRV are unique in their careers in most ways they are no different than the rest of us. They've got families to take care of, mortgages to pay, they probably worry about getting older, we all do. I know they're working during the show and we're not, but they don't make it seem that way at all, and I love them for it. For two hours, six nights a week at the Tropicana Theater the audience can put everything aside and we are all as one, singing and thrusting our fists in the air like teenagers do when only the moment they're currently having matters. We're experiencing again an era just before cell phones and the internet. The world will never go back to that, and it shouldn't, but to visit it once in awhile is a beautiful thing, like Rock 'n' roll therapy. I think I can speak for many of us when I say we feel a kinship with Robin, Doug, Paul, Howard, and the others. We knew of them decades ago as their music wafted through our car stereos, out of our giant stereo speakers, our boomboxes, then on CD players before iPods and streaming. Now we all meet again, older, wiser, survivors of young adulthood, or maybe middle aged or headed for it we are all still looking for a little fun and escape and believing some of the best of life is still ahead. For the younger ones many of them know the music because it's classic rock, Boston, AC/DC, Queen, the Rolling Stones. They've heard it their whole lives at barbeques, NFL and NBA Games, on classic rock stations and YouTube. Some have even performed the songs themselves in their own fledgling garage bands. RTRV appeals to all ages because there's a spirit in classic rock that this show embodies. Eighteen months after their debut RTRV left their former off strip venue and took up residency on the Las Vegas strip, at the Tropicana Theater. The RTRV cast recorded and released two albums on CD and iTunes, "Songs from the Vault Volume I" and then "Songs from the Vault Volume II." RTRV was voted one of the top attractions out of hundreds in Las Vegas by Trip Advisor members within the first year of opening, and are still rated in the top five today. Almost every review of Raiding the Rock Vault on Yelp.com is five stars. 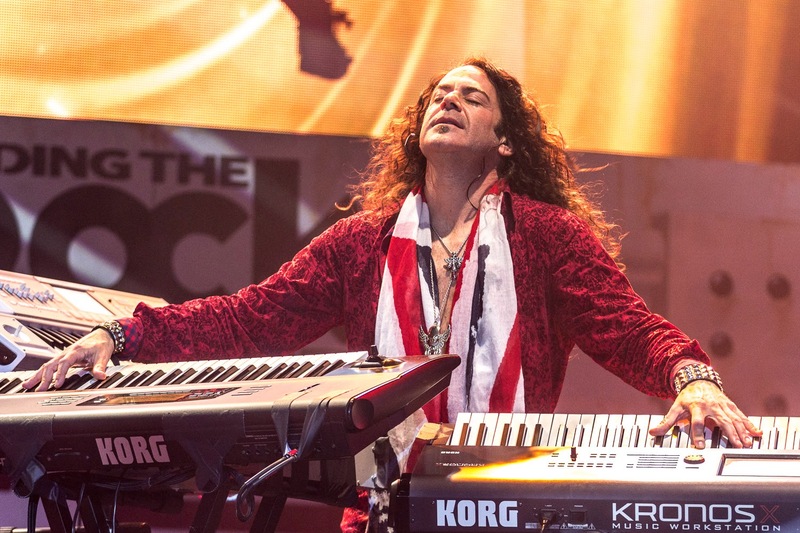 To sum it up, Raiding the Rock Vault combines Rock 'n' roll theater with world class talent performing timeless songs. * It was announced on 3/29 that RTRV just won "Best Musical of 2015" as well! Raiding the Rock Vault Line up includes some or all of this cast on any given night...Howard Leese, Doug Aldrich, Robin McAuley, Paul Shortino, Jay Schellen, Andrew Freeman, Michael T. Ross, Hugh McDonald, Mark Boals, Carol-Lyn Liddle and Stephanie Calvert....Note: The night I saw the show Jason Boyleston substituted for Howard Leese and Uriah Duffy for Hugh McDonald. In my opinion they both fit in well with the show and the cast. Several years ago I got a job that required me to travel a lot. Just over a month into it I’d gained almost ten pounds! This was how I learned about the extra fat, calories and other additives restaurant meals can have in comparison to the ones I made at home. However the good news is that since then the restaurant industry has been picking up on the fact that many, like me, would probably dine out more if offered healthier entrees. In addition, a growing number of Americans are seeking menu choices that are non GMO, Organic, and also Vegetarian and Vegan. Nine in 10 restaurant operators say their guests are more knowledgeable about food than they used to be and pay more attention to food quality than just two years ago. Healthier options are now at the top of the list of what consumers consider when choosing a restaurant, according to the National Restaurant Association. Followed by Eco-friendly dining, Technology, Quality Innovative Food, Local Foods, Ethnic Options and Mobile Options. In addition, research shows that about a third of all adults have gone online to get nutrition data on restaurant food. In relation to healthy eating, one of the terms most of us have heard is “non GMO,” especially in the past few years. What does non GMO mean? Non GMO Food is food that is not genetically modified from its original source. 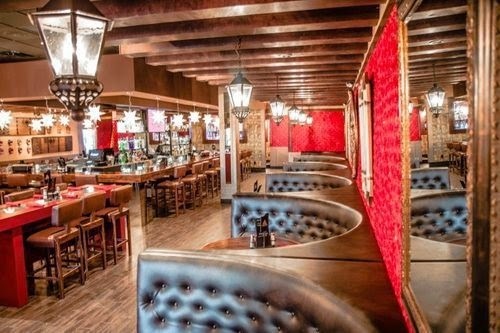 One of the restaurants I recently checked out that promotes its healthy and Non GMO menu is the casual but upscale authentic Mexican restaurant, El Dorado Cantina here in Las Vegas. A large part of their menu includes entrees that are GMO-free and Organic, as well as some unique Vegetarian and Vegan choices. To find out more about how a Non GMO establishment is different, I spoke with El Dorado Cantina Co-Owner Darin Feinstein. The restaurant is in its first year of operations so I asked Darin how it was different setting up a Non GMO restaurant compared to a traditional one. He told me that it took a little longer than it did for his previous restaurants to locate and set up relationships with suppliers, organic farmers and the like, but once those relationships were in place, the system operated smoothly. I also asked him what is unique about the menu at El Dorado Cantina. He said, “Our menu shares information with the consumer such as who our supplier farms are. Also, there’s a symbol next to each entrée on our menu that tells you if it is or can be prepared to be Gluten free, Vegetarian, or Vegan!” Darin went on to say, “Non GMO foods are healthier and often times better tasting than Genetically Modified Choices." As for my own personal experience with the menu, two items I enjoyed from the small bites section of the menu were Shrimp Taquitos, (Pacific wild shrimp wrapped in fresh corn tortillas, topped with, chipotle ranch dressing, roasted morita salsa, queso fresco & fresh, guacamole), and Aguachiles, (Pacific wild shrimp in lime juice & rich spices with cucumber, cilantro, red onions & chiles, served ceviche style with house tortilla chips). Both of these items by Chef Paco, (a native of Mexico City), were flavorful beyond my expectations. The shrimp taquitos were what a taquito should be, (but seldom is) light, tasty and fresh, and the Aguachiles item was modified to contain no onions per my request. I also noticed the El Dorado Cantina beverage choices include a variety of cocktails of course, but also a selection of non-alcoholic fresh juices like Horchata and seasonal fruit drinks such as Tamarind, Hibiscus, Mango and more. I wish I’d see more of this out there because I don’t think a drink has to contain alcohol to be an exotic drink. As for me, I will be expanding my dining horizons to include more Non GMO restaurants like El Dorado Cantina. To locate restaurants and retail shops like this in your city a good source is eatwellguide.org, a listing of thousands of local, organic and sustainable proprietors.